Possibility to spend the night at Bahrain airport (BAH), if open 24 hours. Services available, places to rest (free resting zones), or look for the list of nearby hotels and vip lounges..
Bahrain airport is open 24 hours a day, and you will be able to spend the night inside if you have a flight early in the morning or if your flight is delayed. Where to rest: Inside the terminal you can find numerous benches. However, they generally have armrests. 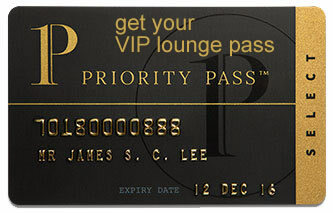 In the boarding area there are several VIP lounges that open 24 hours a day, but the maximum stay is 3 hours. SEE VIP LOUNGES For a better rest, there is a hotel opposite the enclosure. Eating and drinking: No options are available during the night. Other services available around the clock: ATMs, currency exchange bureaus, baby care rooms. The Mövenpick Hotel Bahrain (Tel +973 1746 0000) is situated across from the enclosure. Other accommodations in the surroundings have transfer shuttles to and from the airport. Dragon Resort Hotel (Tel +973 1603 3833), Sealoft Boutique Chalets (Tel +973 1603 3833), Phoenicia Tower Hotel (Tel +973 1731 1666), Majestic Arjaan by Rotana (Tel +973 1737 0000), Elite Resort & Spa (Tel +973 1731 3333), Novotel Bahrain Al Dana Resort (Tel +973 1729 8008), Grove Resort Bahrain (Tel +973 1600 0022), Gulf Suites Hotel Amwaj (Tel +973 1603 0001), ART Rotana (Tel +973 1600 0111).